with Pastor Kurt Piesslinger, M.A. 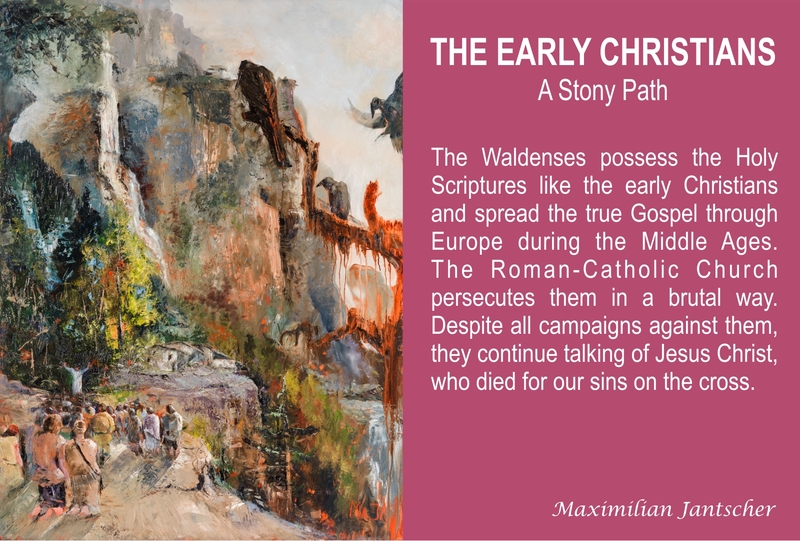 The Waldenses possess the Holy Scriptures like the early Christians and spread the true Gospel through Europe during the Middle Ages. The Roman-Catholic Church persecutes them in a brutal way. Despite all campaigns against them, they continue talking of Jesus Christ, who died for our sins on the cross. 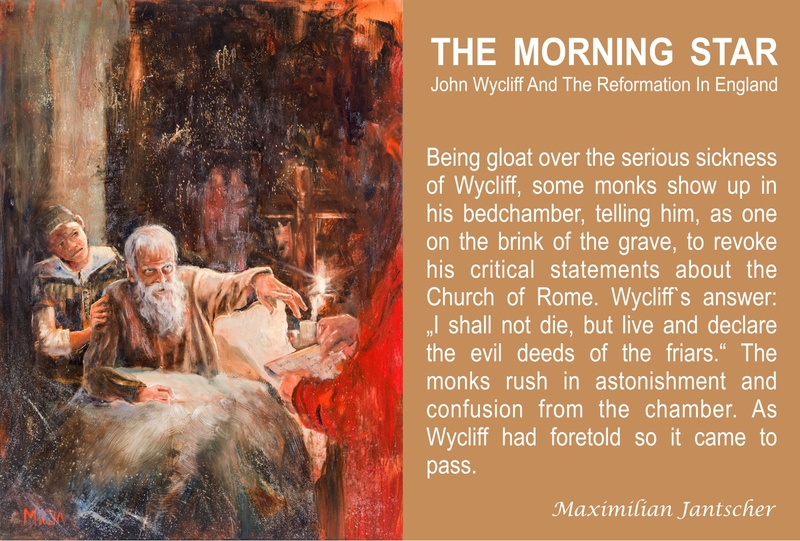 Being gloat over the serious sickness of Wycliff, some monks show up in his bedchamber, telling him, as one on the brink of the grave, to revoke his critical statements about the Church of Rome. Wycliff`s answer: „I shall not die, but live and declare the evil deeds of the friars.“ The monks rush in astonishment and confusion from the chamber. As Wycliff had foretold so it came to pass. 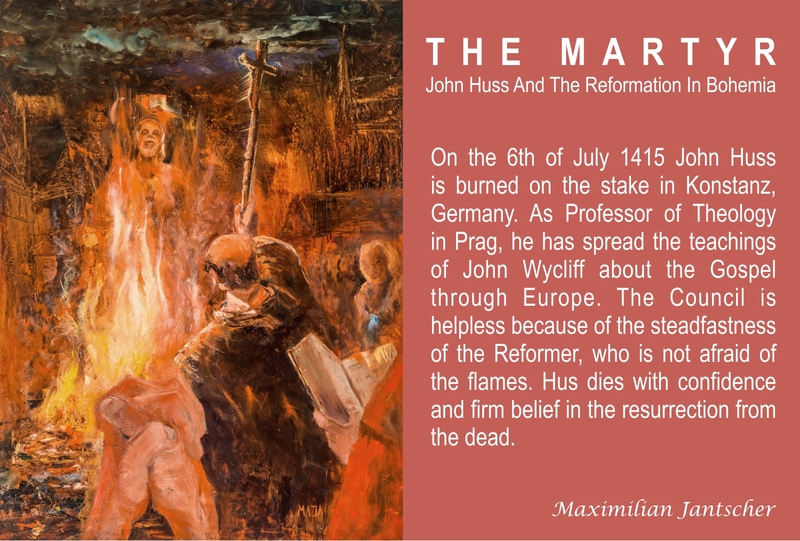 On the 6th of July 1415 John Huss is burned on the stake in Konstanz, Germany. 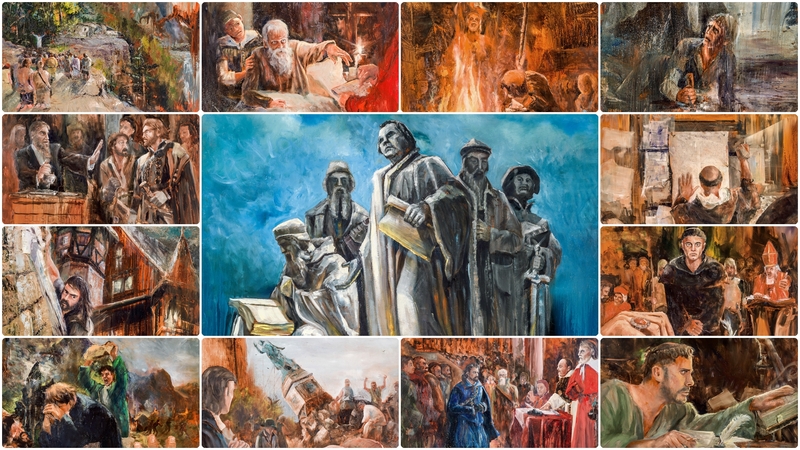 As Professor of Theology in Prag, he has spread the teachings of John Wycliff about the Gospel through Europe. 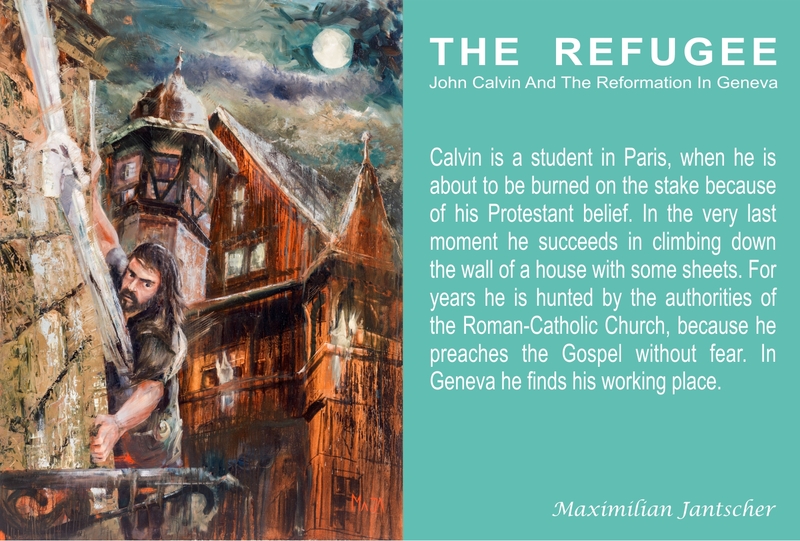 The Council is helpless because of the steadfastness of the Reformer, who is not afraid of the flames. Huss dies with confidence and firm belief in the resurrection from the dead. 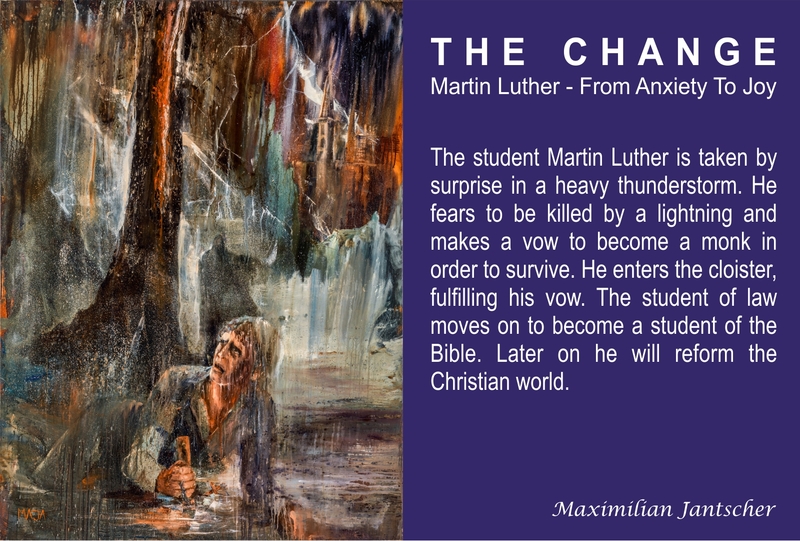 The student Martin Luther is taken by surprise in a heavy thunderstorm. He fears to be killed by a lightning and makes a vow to become a monk in order to survive. He enters the cloister, fulfilling his vow. The student of law moves on to become a student of the Bible. 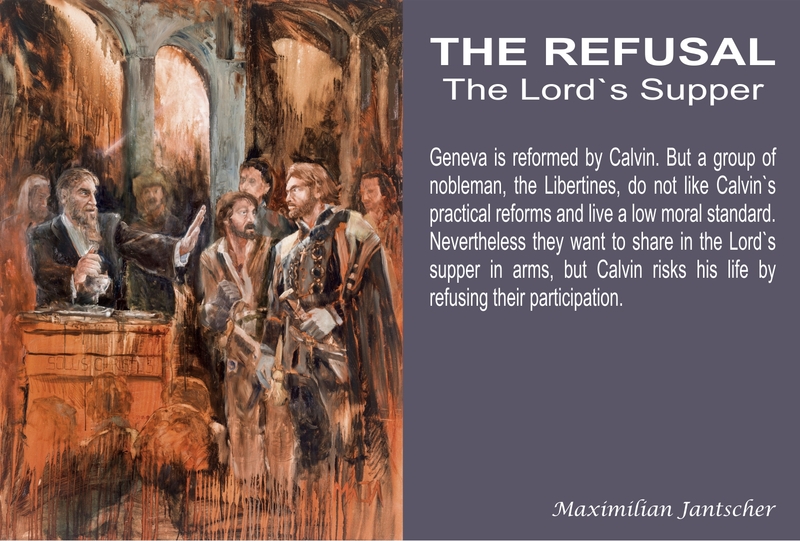 Later on he will reform the Christian world. 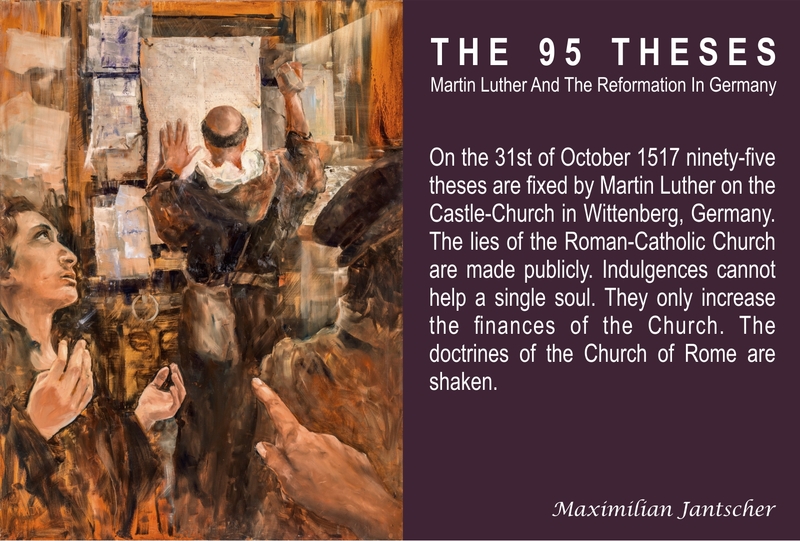 On the 31st of October 1517 ninety-five theses are fixed by Martin Luther on the Castle-Church in Wittenberg, Germany. The lies of the Roman-Catholic Church are made publicly. Indulgences cannot help a single soul. They only increase the finances of the Church. The doctrines of the Church of Rome are shaken. April 18th, 1521: Martin Luther, standing in front of the rulers of Germany, is told to revoke his reformatory statements against the Roman-Catholic Church. He is on the brink of the stake. 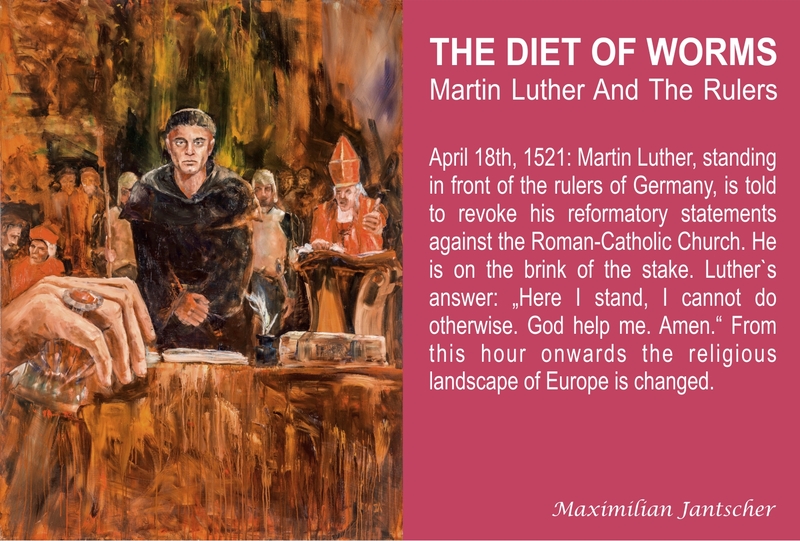 Luther`s answer: „Here I stand, I cannot do otherwise. God help me. Amen.“ From this hour onwards the religious landscape of Europe is changed. 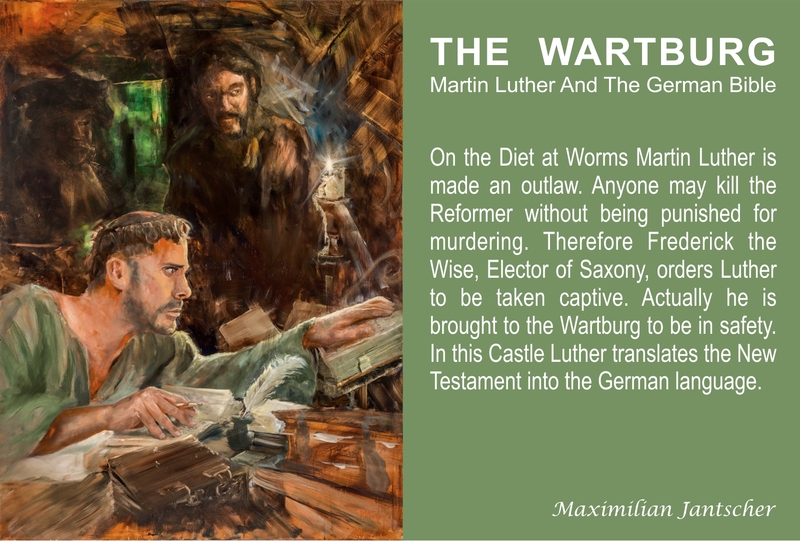 On the Diet at Worms Martin Luther is made an outlaw. Anyone may kill the Reformer without being punished for murdering. Therefore Frederick the Wise, Elector of Saxony, orders Luther to be taken captive. Actually he is brought to the Wartburg to be in safety. In this Castle Luther translates the New Testament into the German language. 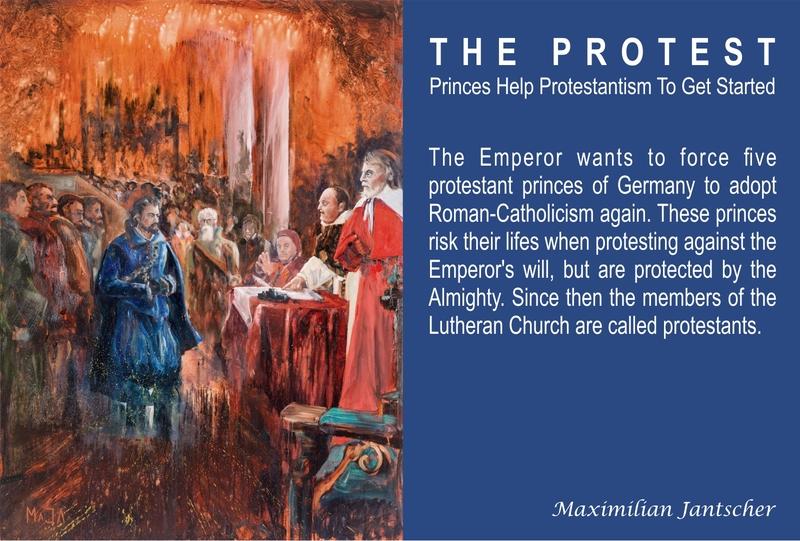 The Emperor wants to force five protestant princes of Germany to adopt Roman-Catholicism again. These princes risk their lifes when protesting against the Emperor’s will, but are protected by the Almighty. Since then the members of the Lutheran Church are called protestants. 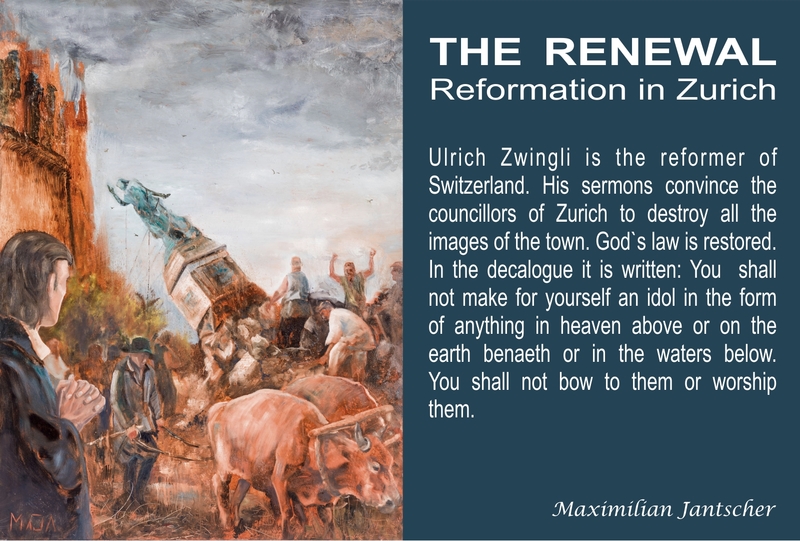 Ulrich Zwingli is the reformer of Switzerland. 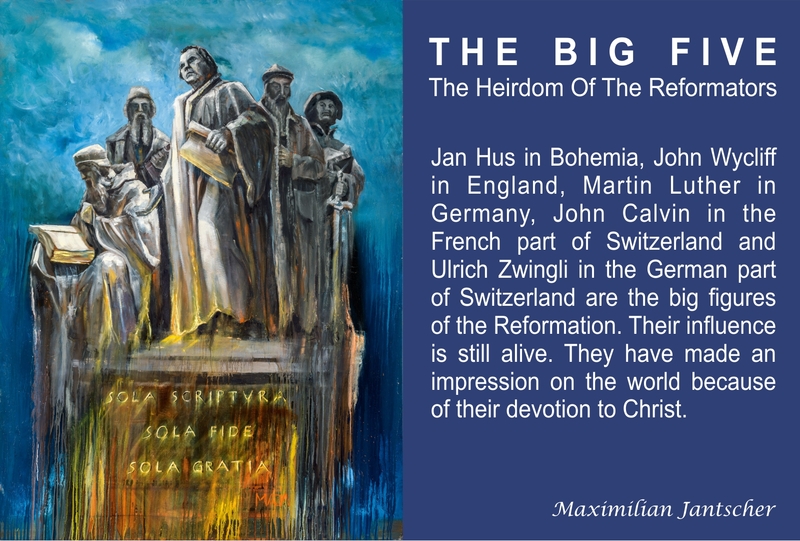 His sermons convince the councillors of Zurich to destroy all the images of the town. God`s law is restored. In the decalogue it is written: You shall not make for yourself an idol in the form of anything in heaven above or on the earth benaeth or in the waters below. You shall not bow to them or worship them. In 1531 there is a battle near Kappel in the southwest of Zurich between a huge Roman-Catholic army and a small Protestant army. 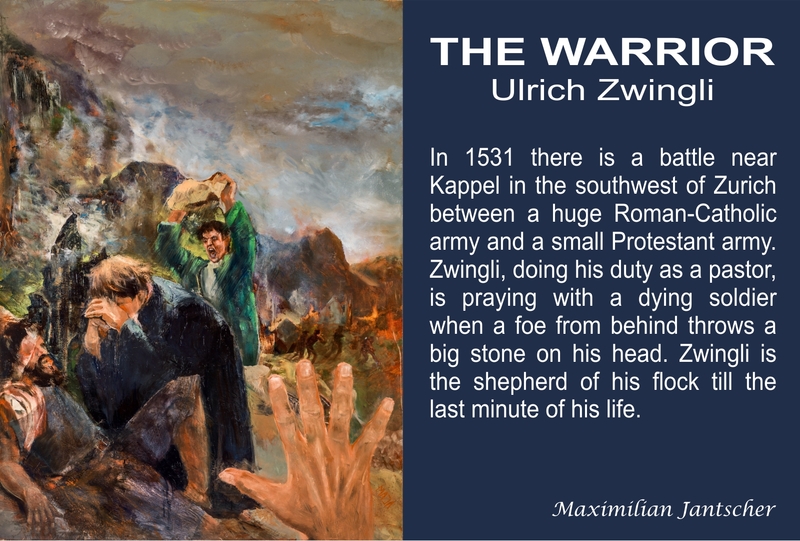 Zwingli, doing his duty as a pastor, is praying with a dying soldier when a foe from behind throws a big stone on his head. Zwingli is the shepherd of his flock till the last minute of his life. Matthew 8:20 – And Jesus saith unto him, The foxes have holes, and the birds of the air have nests; but the Son of man hath not where to lay his head.